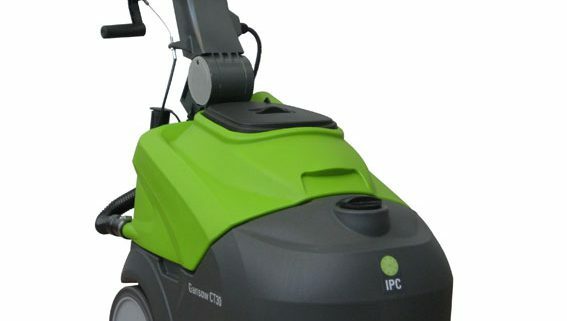 The IPC Gansow CT40 BT50 is one of our best-selling battery powered walk behind scrubber driers. With a 40L solution tank and 50cm scrub width the CT40 has been designed to clean both large open areas and in tight spaces thanks to its small turning circle. The CT40 BT50 features the CWS (Constant Weight System) allowing continuous brush contact even on uneven floors. Operator controls are kept simple with soft touch buttons and all user maintenance parts are now colour coded in yellow for ease of use. The CT40 BT50 comes complete with gel maintenance free batteries and a BLS smart charger to increase overall battery life. 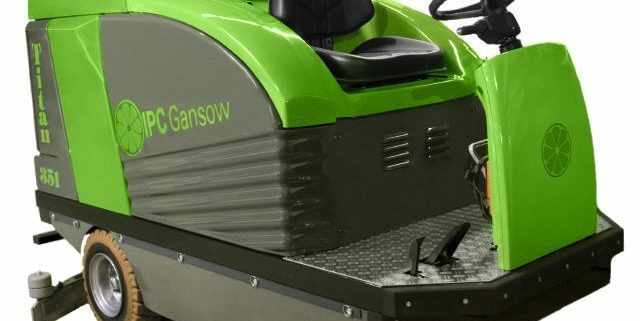 The IPC Gansow Premium Green Line 41 BF 57 features all the attributes of the smaller 31 B but has a larger tank capacity, traction driven wheels and larger batteries for increased productivity. The 41 BF 57 is capable of cleaning 800m² with one tank of water due to the effective water management system ‘GWS’. Claim back the cost of this machine against taxable profits! The IPC Gansow 41 BF 57 is listed on the governments Water Technology List (WTL) promoting the use of sustainable products through the Enhanced Capital Allowance (ECA) scheme. The ECA scheme allows UK businesses to write off the whole cost of the equipment against taxable profits in the year of purchase. This can provide a cash flow boost while investing in sustainable water products. 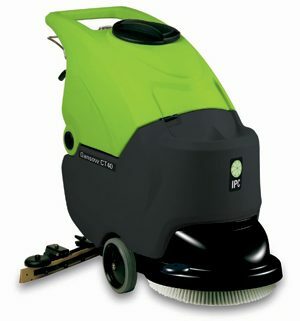 The Premium range of IPC Gansow scrubber driers are the some of the most reliable and durable machines on the market. The 351 range are suitable for medium and heavy duty work in a wide range of applications including warehousing, car parks and general industry. This scrubber drier has all the performance and build quality you could want. Holding 150 litres for maximum working performance, available with a 870mm scrub width to provide a cleaning productivity of up to 5,525m²/h. The forward visibility from the driving seat is excellent even for such a large machine due to the streamlined control panel allowing for cleaning in tight spaces and around static equipment. It is ideal for all industrial and heavy commercial applications with the owner looking at a long term solution to their floor cleaning requirements. This machine comes with a three year warranty and has significant cost saving benefits due to its low water usage performance. The machine is available with 8 different brushes please ask for more details. 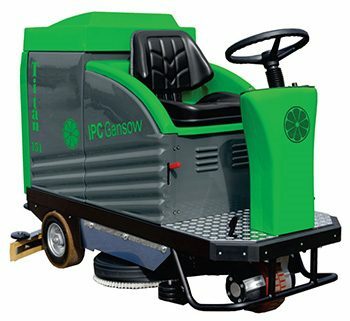 The IPC Gansow CT15 B scrubber drier is compact, hugely versatile and effective especially in small and restricted areas. With an on-board charger and maintenance free batteries this scrubber drier is ideal for everyday use across a range of applications.